“The Handmaid’s Tale” producer Warren Littlefield has another project in the works at Hulu. The premium streaming service has given the green light to his pilot “Reprisal,” a person with knowledge of the deal told TheWrap. The project is described as a hyper-kinetic revenge tale following a relentless femme fatale who, after being left for dead, leads a vengeful campaign against a bombastic gang of gearheads. 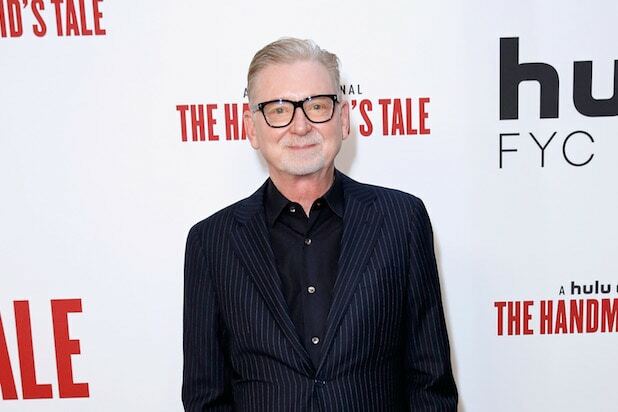 Littlefield is executive producing the pilot under his The Littlefield Company banner, along with A+E Studios’ Barry Jossen. Josh Corbin will pen the script and co-executive produce, with Jonathan Van Tulleken set to direct the project. If “Reprisal” is picked up to series, it would join several other dramas currently in the works at Hulu, along with George Clooney’s “Catch-22,” Josh Schwartz’ adaptation of John Green’s “Looking for Alaska,” Reese Witherspoon and Kerry Washington’s drama “Little Fires Everywhere, the Jeff Daniels-led “The Looming Tower” and, of course, Bruce Miller’s critical-darling “The Handmaid’s Tale.” The streaming platform also have several comedies in development. Littlefield has been with the TV adaptation of Margaret Atwood’s dystopian novel — now deep into its second season on Hulu — from the beginning and also executive produce’s Noah Hawley’s “Fargo” series on FX. One man's trash is another man's treasure. OK, no show wants to be called "trash," but if it means you're getting picked up by another network or platform after cancellation at your original home, you probably won't mind it too much. And as tonight is the night "Brooklyn Nine-Nine" makes its official debut on its new network, after being saved by NBC just one day after its cancellation at Fox last May, TheWrap thought now was the perfect time to look back at all the shows that have made a comeback on a new platform. Click through our gallery to see some of the most famous cases. "Brooklyn Nine-Nine" -- Ran from 2013-2018 on Fox and was picked up for a sixth season by NBC one day after being canceled by its original network. The new season premieres tonight, Thursday, at 9/8c on NBC. 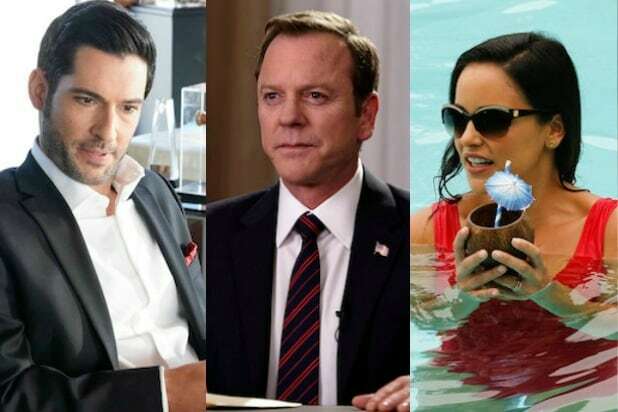 "Designated Survivor" -- Ran for two seasons from 2016-2018 on ABC, then picked up for a third by Netflix back in September, after getting the axe in May. "Lucifer" -- Ran for three seasons on Fox, from 2015-2018, and was picked up by Netflix for a fourth season last June. "Nashville" -- Ran from 2012-2016 on ABC, then picked up by CMT from 2016-2018, where it wrapped with its sixth and final season last year. "Cougar Town" -- Ran on ABC 2009-2012, then on TBS from 2013-2015. "Arrested Development" -- The comedy ran on Fox from 2003 to 2006 and then moved to Netflix in 2013 for a fourth season, followed by a fifth season that premiered last May. "The Expanse" -- Ran from 2015-18 on Syfy and was picked up by Amazon for a fourth season last May after cancellation by the NBCUniversal cable network. "Futurama" -- Ran on Fox from 1999-2003, then moved to Comedy Central from 2008-2013. "Gilmore Girls" -- Ran from 2000-2007 on The WB, which became The CW in the show's final season. It was revived by Netflix in 2016 for a special four-episode installment. "Community" -- Ran on NBC from 2009-2014 and aired its sixth and final season on Yahoo! Screen in 2015. Still no word on a movie. "Scrubs" -- Ran on NBC 2001-2008, then moved to ABC for one more season from 2009-2010. "The Mindy Project" -- Ran on Fox from 2012-2015, then moved to Hulu from 2015-2017. "Diff'rent Strokes" -- Ran on NBC 1978-1985, then moved to ABC from 1985-1986. "Buffy the Vampire Slayer" -- Ran from 1997-2001 on The WB, moving to UPN for its final two seasons, which aired from 2001-2003. "Roswell" -- Ran on the WB 1999-2001, then moved to UPN from 2001-2002. "Veronica Mars" -- Ran on UPN from 2004-2006, then moved to The CW for a final season from 2006-2007. And now it's getting a revival on Hulu set to air in 2019. “Stargate SG-1” -- Ran on Showtime from 1997-2002, then moved to Sci Fi (now Syfy) from 2002-2007. "Project Runway" -- Ran on Bravo 2004-2008, then on Lifetime 2009-2018, and just announced in May to be moving back to Bravo. "JAG" -- Ran for one season from 1995-1996 on NBC, then picked up by CBS from 1997-2005. "Last Man Standing" -- Ran for six seasons from 2011-2017 on ABC, then picked up by Fox for the 2018-2019 slate.